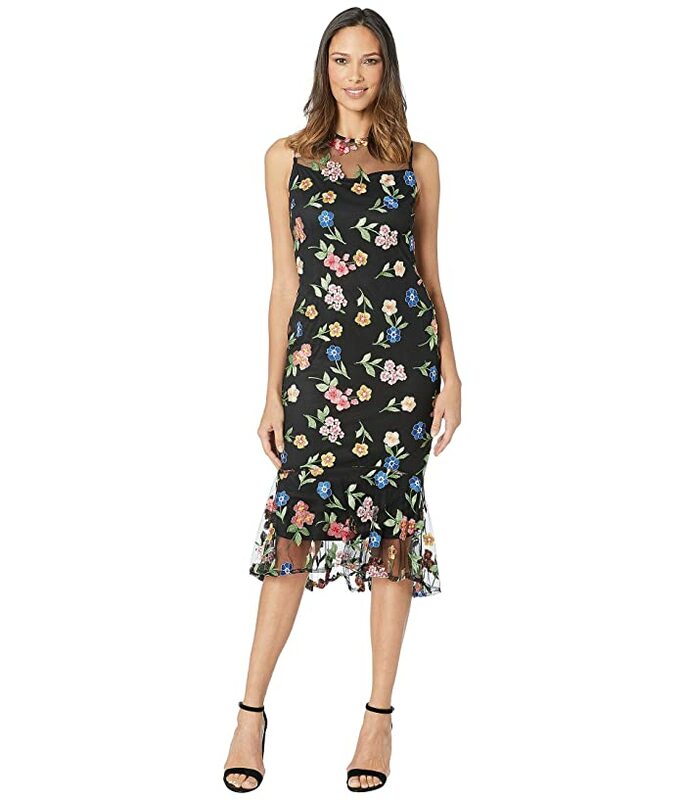 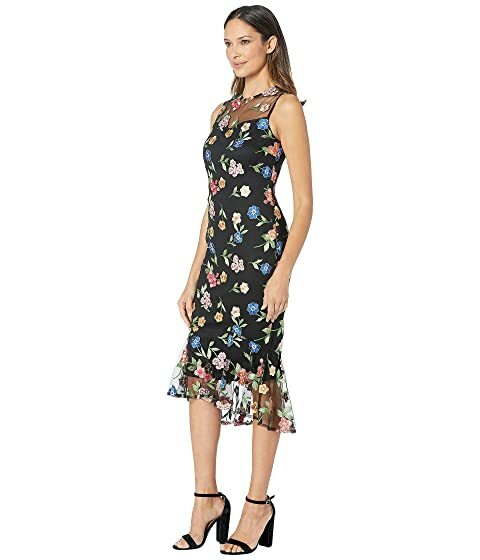 Your style will be in full bloom in this Calvin Klein® Floral Lace Dress with Ruffle Hem. 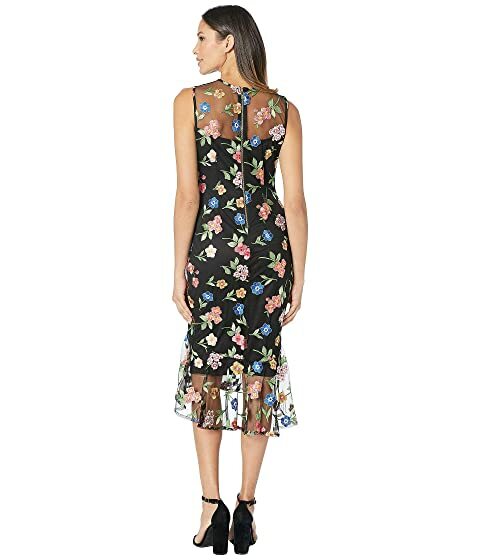 Colorful floral-lace on a sheer nylon fabrication. 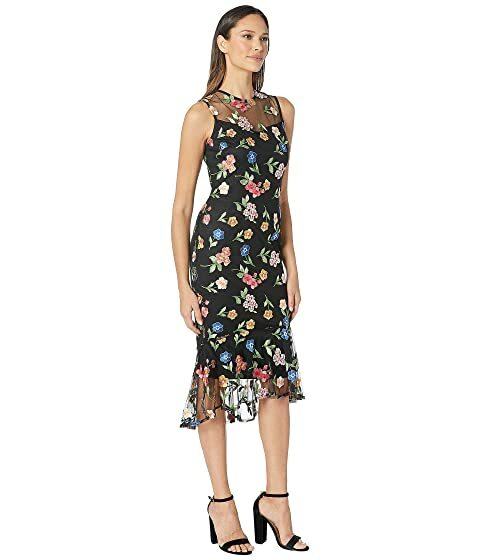 Ruffled hemline falls at a midi length.